At 5:00 A.M. on January 16, 1942, actress Carole Lombard, Hollywood's "Queen of Screwball" and the wife of the king of the movies, Clark Gable, stepped onto a Transcontinental & Western Airlines DC-3, designated as Flight 3 in Indianapolis, Indiana with her mother, Elizabeth Peters, and MGM publicity man Otto Winkler. Lombard had just completed the first sale of war bonds and stamps in the nation following its entry into World War II. Exhausted from five days on the road, Carole intended to return to her husband and Encino, California home and by the fastest means possible. 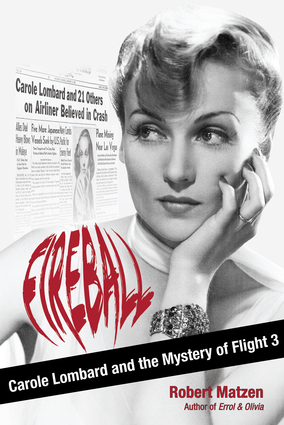 Fourteen hours later, Flight 3 lay a flaming pile of debris strewn across the side of Potosi Mountain, Nevada.Fireball provides a fresh look at Carole Lombard's life, with plenty of focus on her list of lovers that included Howard Hughes and Clark Gable, and presents a first-ever examination of the events that led to that final flight and her death. The book also provides a day-by-day look at the struggles of Clark Gable and Lombard's family, friends, and fans, to cope with the tragedy. Lombard became the first Hollywood star to sacrifice her life in World War II. The War Department offered Gable a funeral service with full military honors but he refused it knowing that his wife would not approve of such spectacle.But Fireball goes much further and explores the lives of the 21 others on the plane, including 15 members of the U.S. Army Air Corps, and addresses one of the most enduring mysteries of World War II: On a clear night full of stars, with TWA's most experienced pilot at the controls of a 10-month-old aircraft under the power of two fully functioning engines, why did Flight 3 crash into that Nevada mountainside?Author Robert Matzen digs deep into never-before-explored corners of the Motion Picture Academy of Arts and Sciences Library to offer fresh new perspectives on Carole Lombard, “the Queen of Screwball.” He also explored 2,000 pages of federal government and TWA records on the crash and spoke to friends of Carole Lombard and Clark Gable as well as crash experts and family members of the passengers on Flight 3 to tell not one but 22 heartbreaking stories, one for each of the souls aboard the doomed airliner.The gripping page-turner Fireball presents the story of the people on the plane, the friends and families left behind, and the heroic first responders who struggled up a mountain hoping to perform a miracle rescue. From the first page to the last, Fireball tells a story of accomplishment, bravery, sacrifice, and loss. The author opens the book by talking about his climb to the wreckage and how steep it is and that still to this day there is no trail to the top of the mountain. Once at the crash site he describes that even after all of these years there are still pieces of the plane on the mountain, scattered about along with other objects that he found along with the guide who took him there. From there he begins the story with Carole Lombard, born Jane Alice Peters, from Fort Wayne Indiana. After her father was injured in an accident the mother took her and her two older brothers to California for vacation but they ended up staying. While in high school she got a job at fox studio as a contract actor and it looked like she was on her way. Out with a boyfriend Harry Copper, his car was struck by another car and the brakes failed sending the car crashing down a Hollywood hill. With glass slicing through her left eyebrow to the bone and nearly severed her lip. She though remained calm and Harry seeing what had happened tried to slow the bleeding and rushed her to an emergency room. Bess her mom after seeing her and them talking called a few friends and got in touch with a plastic surgeon. 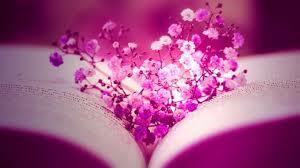 He did not promise that there could be no scarring but that he would do all he could. He had to do the surgery without any anesthetic, for the fully awake and alert patient had to keep facial muscles in proper position. Then she could not move her head for 6 months. She would end up with a scare one inch long on her eyebrow and an inch and half long scar across her upper lip. From there he talks about how she fought to get back in front of the camera, her first marriage and that divorced and a boyfriend who killed himself. Until she was a fairly big star and then Clark Gable. How they got together and then got married and how she was a very opinionated and how they argued about certain things, this all added to their chemistry. When the war started many stars signed for war bond tour and she was one of the first. They planned for her to go Indiana round trip by train. After her time there and ready to go home she decided she wanted to try going in a plane saying it would be faster, because before she left her and gable got into an argument and she left before he got up that morning. The flit was good in Texas they had a layover and some people got bumped for military men then they took off for Las Vegas. After changing pilots refueling, checking oil, they took off again and it was not to long after that, that they knew or thought they knew there was a problem. Once they realized there was a crash they had to wait until first light to really make an effort up the mountain once there at the crash site they had to leave some men there overnight so others could go back and bring more materials’ and animals to carry the remains down the mountain know knew just how steep or rocky that terrain was. The author does go into the lives of the pilots, stewardess and other military personal aboard the flight which I thought was very nice and had never read about before. Mt. Potosi, in Nevada is 8,200 elevation and Miss Lombard was projected to raise 500,000. On her trip when she actually raised 2 million dollars. Through all of the paper work and files he searched they stilled blamed pilot error. But on a moonless night November 8, 2007, a flight took off from North Las Vegas Airport at 7:05 at the controls a NASA pilot Col. Ed. Lewis and his co- pilot Dion DeCamp they had 60,000 hours of flight time between them. Having a relatively new plane with 300 hours and with a Garmin G1000 glass cockpit tracked by sophisticated radar in Vegas and Daggett control center. 13 minutes after takeoff Col. Ed Lewis aircraft slammed into the vertical cliff wall of Mt. Potosi Mountain. The FAA made almost the same finding as 1942, the pilot flew into the side of the mountain. Just makes you wonder? A very good story and I am glad he talks about all the people that were on the plane. I got this book from net galley.